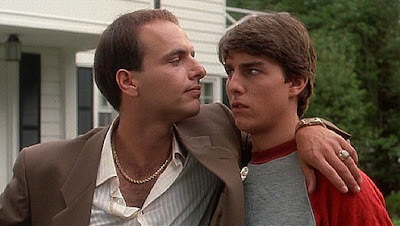 Directed in 1983 by debutant Paul Brickman, Risky Business is a funny comedy about the adventures of Joel (Tom Cruise), a high school student, and Lana (Rebecca De Mornay) a gorgeous prostitute. Joel's parents are going away on a trip and he is alone at home. One night he decides to hire Lana's services, they like each other and they start to meet frequently. But the prostitute's pimp (Joe Pantoliano) does not like that relationship and requires the boy to leave her. 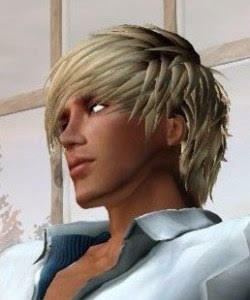 Instead, Joel and Lana decide to offer sexual services at his house with Lana mates. That infuriates the pimp and he decides to take revenge. 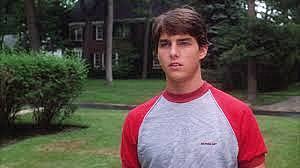 With a young Tom Cruise and Rebecca De Mornay starring, this movie is considered, retrospectively speaking, as the film that launched the careers of Tom Cruise. Worth remembering that Risky Business received critical acclaim by critics and audiences, and it is also considered as one of the best comedy films of 80's. In fact, the scene featuring Cruise's character dancing in his pink dress shirt and briefs to "Old Time Rock and Roll", by Bob Seger, is one of the most memorables scenes in film history.